Sia has spent recent years behind the scenes of the music industry, providing vocal duties on Flo Rida and David Guetta hits while assembling a songwriting portfolio that includes an army of pop artists such as Rihanna, Christina Aguilera, Britney Spears, and Céline Dion, all while shying away from the spotlight herself. Now for the upcoming release of her sixth studio album, she takes center stage in a big way with lead single “Chandelier.” The idea of swinging from a chandelier usually evokes of excessive party- and alcohol-fueled debauchery, resulting in a daring ride around the room that gains the full attention of the partygoers. When coupled with Sia’s lines in the first verse describing popularity and belonging in typical young-adult fashion — “phone’s blowing up, they’re ringing my doorbell / I feel the love, feel the love” — it seems to suggest that carefree happiness is the theme of the festivity. But as the song takes a minor-key turn in the pre-chorus and Sia sings “One, two, three / One, two, three: drink / Throw ’em back ’til I lose count,” it’s clear that that the song carries darker undertones. In the chorus, Sia reveals that the likely-autobiographical subject’s indulgence in alcohol is aimed to help her forget her troubles as if “tomorrow doesn’t exist,” much like the lyrical content of many recent radio hits. However, what inevitably follows the morning after is a hangover, at which point the chandelier crashes down from the ceiling, leaving the rider at rock bottom. The fragility and precarious position of the dangling chandelier serves as a fitting symbol of Sia’s previously-recounted struggles with alcoholism, wrapped up into a powerful downtempo song. Sia’s polarizing yet undeniably powerful tone propels the chorus to astonishing heights, flying up to a high F# in the chorus that effortlessly surpasses the zenith of many fellow pop artists’ vocal ranges, while accompanied by snappy snare beats and a hazy cloud of synthesizers. 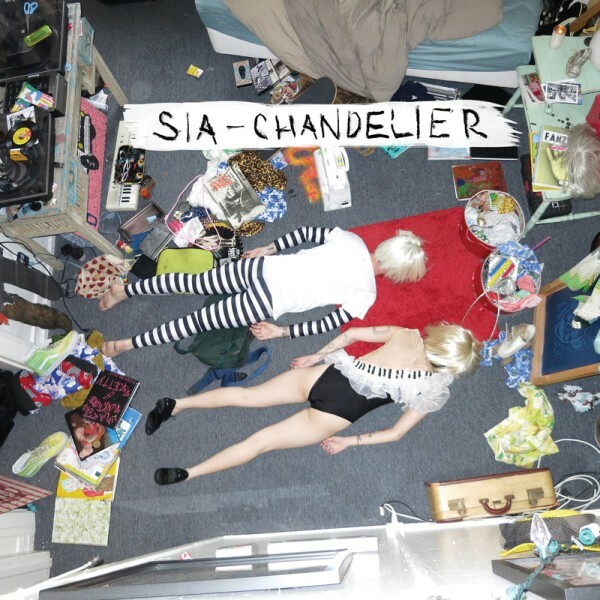 While her roads both personal and professional have been long and arduous, “Chandelier” emerges putting Sia in a powerful position to stake her own claim as a singular pop powerhouse.